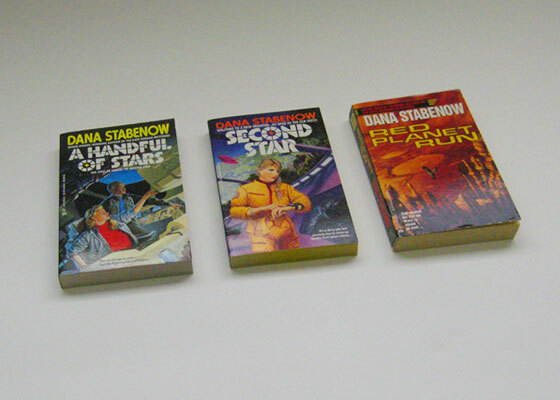 My three science fiction novels. The first two were my first in publication. It’s the near future, the people of earth are moving off-planet and Star Svensdotter is leading the way, in Second Star to Ellfive, a habitat in orbit between Terra-Luna-Sol, in A Handful of Stars to the Asteroid Belt, and in Red Planet Run to Mars. They fell with an almighty thud on the marketplace and were never heard from again. Until 2011, when they are now all three available as e-books!